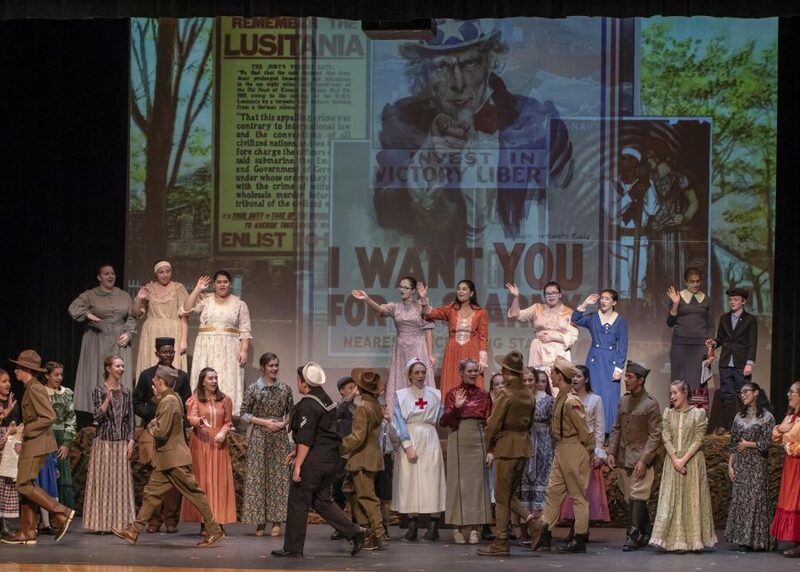 The Brewster High School Music Department is more than thrilled to have created an original drama based on World War I stories of service to coincide with and honor the 100th anniversary of the Armistice as told from a “hometown” perspective. The Letters tells true stories of the war and its effects on lives told from the perspectives of soldiers and mothers. J.M. Cassidy has very impressively made sure to integrate only true stories into the script. Everything in the script is either excerpted or drawn from real World War I letters and archives. Typical historical plays consist mostly of acting. However, the BHS Theater Department decided to widely step out of the box and include songs that are appropriate to the era. Yes, there is singing in this play! But it doesn’t take away from patriotic depth of the show. The impact of The Letters is everlasting. What made you decide to come up with an original play? JC: I work in the local County Archives and some time ago, along with the historian, Sarah Johnson, we discussed upcoming commemorations which included 100 years since America became involved in World War I and Women’s Suffrage (right to vote). AP: I was approached by Jen Cassidy, a Putnam County historian, and Amy Campanaro from the Southeast Museum with an idea for a show. They brought four binders full of letters written by WWI Putnam County servicemen to their families at home. They told me the stories of Daniel Brandon, the only WWI POW from Putnam County, and Clinton Peterson, a mixed-race Sergeant from Kent Cliffs (Kent/Carmel) who served under Hamilton. He was a “white” officer of the 15th, better known as the 369th Infantry. Their stories were riveting, and I was hooked. How long has this idea been in mind? AP: For Jen Cassidy, the idea was years in the making. JC: In 2017, I was assisting my husband with research for his book Putnam County Veterans of World War I, a roll of all men and women who served, and one day I was at BHS to drop off my daughter for Mary Poppins rehearsal when I sat down with AnnMarie Chalmers and told her about Clinton Peterson’s story and so many more letters that had come from research. We agreed it would be an incredible opportunity to have the BHS students narrate some of these letters and through that experience learn about local and world history. From there, we partnered with Southeast Museum and took a meeting with Mr. Mullane and Mr. Gallacher and realized the idea was bigger than the room! Stephanie Rubino (then director) heard the pitch and arranged a meeting with Miss Perdicho who immediately embraced the idea as an important and original opportunity, and it all took flight! 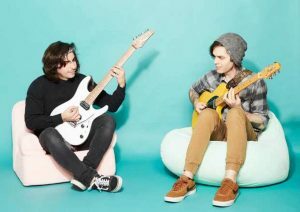 AP: The first meeting took place in April of last year. We worked all summer and went through MANY scripts before we ended up with the current edition, which, by the way, we were still editing during show week! JC: The research has been going on for two years. Quite honestly, it could still be happening but we would have missed the 100th anniversary mark of the Armistice. AP: Jen Cassidy’s husband wrote a book containing many of these letters. Jen wanted to turn it into a show. That’s where I came in. Jen had the immense historical information, and I had the theater/directing experience to take her ideas to the stage. JC: My introduction to Miss Perdicho evolved into more of my enrollment in a master class in theatre. She taught me how to take the research collection and turn it into a living script and challenged me to find deeper meanings, characters, conflict, and a story arc. She helped me develop the characters and shape a story along a timeline. It was an honor to partner with her. Was choosing which characters to include difficult? AP: Jen brought thousands of letters. One of the most difficult and heart-wrenching tasks was limiting and focusing those stories to create a true picture of what life was like in Putnam County 100 years ago. Some compelling stories were left out for the sake of continuity and telling both sides of the story, the pride and the tragedy. JC: Sarah Johnson was interested in the suffrage movement and in terms of WWI had shared stories she found of Sgt. Clinton Peterson published in a local newspaper, The Putnam County Courier. This was my first introduction to a voice from that period yearning to be heard. (His story is remarkable in that he was from Kent, of mixed-race, and served with the French as part of the 369th Infantry, Harlem Hellfighters.) Then, she also showed me the WWI collection in the New York State Archives which has an incredible collection about the role of Brewster and the Town of Southeast, most of which had been condensed from local newspapers. How has this process been different from other shows you’ve produced? AP: Like night and day. Writing, producing and performing an original work, especially one with projections and music and so much tech, is twenty times harder than working on a previously published work. You are reinventing the wheel every day. JC: The original vision was a simple one: a one-night stage narration of letters, bare bones. Miss Perdicho had greater vision and took it from a good idea to an incredible production. I knew we had access to archives, photos and films, but I never would have imagined what BHS alumni Joe Beahm and Stephen Serra could do with what we brought forward in terms of the projection’s design to complement the content of the letters. Director Alex Siriani’s vision for the ending was profound and moving. Most importantly, what the student crew constructed and put together for the set, costumes, props, lighting and sound effects, etc., was all polished and professional. Hard to believe it was a high school production. How did it feel as a Brewster/Southeast citizen to create something that celebrates not only world and United States history, but the town of Southeast history? JC: It was a special honor to be involved with descendants of those who wrote the “real” letters like the Brandon and Ledley families who remain local residents, and others as far reaching as New Mexico, California and England. Additionally, we’ve received many comments from those who appreciated the fact that it was balanced with pro and con opinions of the war. One local retired professor of history, Dr. W. Sypher of Putnam Valley, admitted he feared the production would be “plastic patriotism” and just a ritual playing of “The Star Spangled Banner.” Afterwards, he commended the production, saying in his many years of teaching a course in World War I, he felt The Letters: Voices from the Great War was “real” and a unique historical experience. Douglas Cunningham, publisher and editor of The Putnam County Courier stated in his recent ‘Cunningham’s Corner’ column that The Letters received “tremendous acclaim.” There’s no greater compliment as it was thanks to the 100 year-old columns of that newspaper, along with others, that we had many of the letters. As a local resident, I’m honored. Would you ever consider producing an original play again? AP: Absolutely! The creative process with Jen, the collaboration with lighting designer Joe Beahm, the vision of director Alex Siriani involved, the gratitude of the families whose ancestors wrote the letters, the support and encouragement of the veterans who jumped on board – each person involved shaped this play into what it has become. The loss of any one person’s contribution would have left the project missing an integral part. JC: I think collectively, we’ve blazed a trail of what can be done with local history, archives, and theatre. This opportunity does make one think of other unique avenues to promote local history. I look forward to my continued work with local archives and the Southeast Museum and hope that we can continue to promote local history in the schools if the demanding curriculum allows. I guess we’ll all have to stay tuned. To commemorate Veterans Day and honor those who served, veterans and the families of those portrayed in the play were invited to a matinee performance. As hosted by Semper Fi, who welcomed everyone with a flag line and served refreshments throughout, students and actors conversed with the guests afterwards and shared their mutual appreciation for each other.